Delhi Capitals have never managed to even reach the final of Indian Premier League. The franchise based in the capital of India is owned by JSW and GMR group. The Delhi fans have not witnessed their team reach the playoffs since 2012. In 2018, JSW acquired 60% shares in the team and decided to move forward with a new name. The owners and the fans would be hoping that this new name can bring some luck to the franchise. 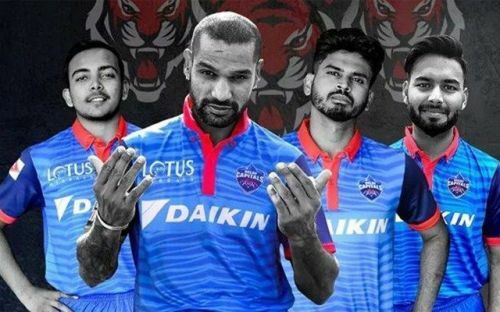 Delhi Capitals will start their campaign in season 12 with a match against one of the pre-tournament favorites, Mumbai Indians. Colin Munro is one of the most dangerous batsmen in the shortest format of the game. The 32-year-old became the first batsman to score three centuries in T20Is when he scored a century against the Windies in 2018. In 2017, he became the first batsman to score two centuries in T20Is in just one year. While his record in international cricket and T20 leagues around the world is exceptional, he has a poor record in the IPL. The Kiwi batsman has played in only two seasons of the most famous cricket league of the world. The left-handed batsman has just played nine games in those two seasons. He has not even scored 100 runs in his IPL career and is yet to register a 50+ score. His reputation might be enough to earn him a chance in the playing XI for Delhi Capitals. This might be his opportunity to improve his horrible record in IPL.